Educational Qualification – The candidates must have passed 10th class examination or equivalent from a recognized board or must possess ITI in relevant trade. 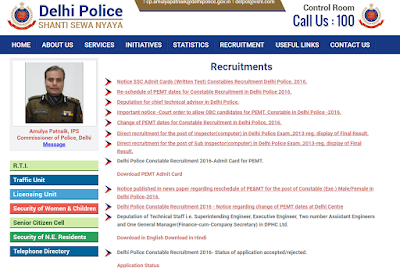 How to Apply – Interested candidates can apply online through the official website of Delhi Police from 17-Dec-2017 onwards. The last date for online application is 16-Jan-2018. Mode of Selection – As per rules.